Спасибо добрым людям! Дай бог им здоровья! You see a map that shows territory of Belarus, of Egypt, of Russia, of Ukraine. Displayed capital of Ukraine huge city Kiev marked. You can find here huge city Dnipropetrovsk marked. On this map city Poltava presented. Displayed city Chernihiv presented. city Cherkasy presented. city Sumy for Garmin. 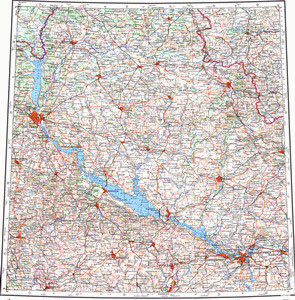 On this map city Kirovohrad for Garmin. Displayed city Dniprodzerzhyns'k for Garmin. On this map city Kremenchuk marked. On this map city Bila Tserkva free download. Displayed city Pavlohrad presented. city Oleksandriya download for free. city Konotop for Garmin. On this map city Brovary presented. Displayed city Uman' for Garmin. You can find here city Shostka download for free. city Nizhyn presented.